Can Dogs Eat Walnuts? Is It Safe to Share? Home Food Can Dogs Eat Walnuts? Is It Safe to Share? Trying new foods can be just as fun for our dogs as it is for us, which might leave you wondering can dogs eat walnuts too. Some nuts, such as cashew nuts, are OK for dogs in small quantities. But others, such as macadamia nuts, should never be ingested by our pups due to their toxicity. So where do walnuts fall on this spectrum? 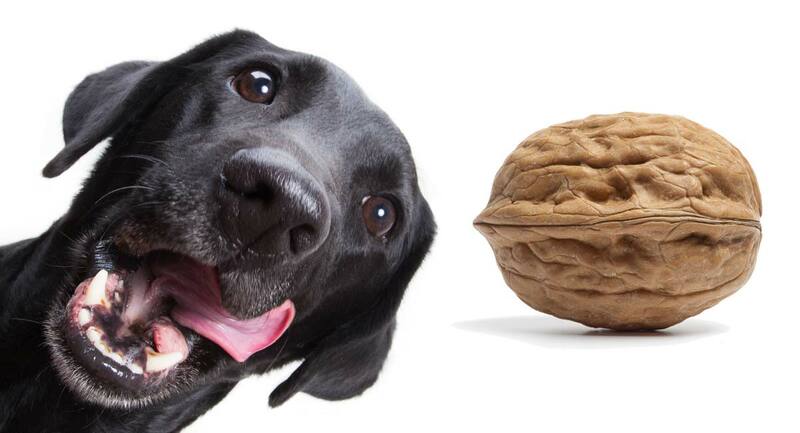 Do walnuts and dogs make a good combination, or should we be more wary of them? Let’s take a look at why tiny amounts of walnuts can be okay, but we recommend avoiding them altogether. All dog owners love treating their dogs. A common way to spoil our pups is by sharing our food with them. But are walnuts safe for dogs to eat? The short answer is fresh walnuts aren’t dangerous in small amounts. But it’s not worth the risk as moldy walnuts are very toxic. Walnuts are often praised as a healthy choice for people, and studies have suggested they may be linked to the decrease of coronary heart disease and the maintenance of good neurological health in humans. But this doesn’t automatically mean walnuts are just as healthy or dogs as they are for us. So are walnuts good for dogs? Walnuts are high in fat, which leads many experts to suggest they are bad for dogs in large quantities. However, the real risk to dogs is from moldy walnuts, which contain something called tremorgenic mycotoxins. Let’s look at the fats in walnuts, and find out what dangers tremorgenic mycotoxins can present if dogs eat walnuts in the next few sections. Are Walnuts Bad for Dogs? The two most common types of walnut are the black walnut and the English walnut. The black walnut has a harder shell, which is why the English walnut was chosen for commercial production. Walnuts are high in fat, but also contain protein and carbohydrates in much lower levels. Many articles and pet health websites online suggest high fat foods are bad for dogs, who have adapted to a diet with a high level of carbohydrates. 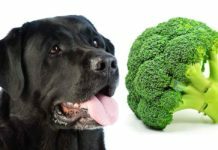 However, recent studies have shown that fats and proteins would naturally make up half of a dog’s optimum diet each, with carbohydrates only consisting of a tiny percentage. But what does this information mean when it comes to walnuts for dogs? Can dogs eat walnuts if they are moldy? High fat content isn’t the reason we should avoid giving our dogs walnuts. Moldy walnuts contain tremorgenic mycotoxins produced by fungi, which can be fatal to dogs when ingested. And walnuts aren’t the only food susceptible to this toxin. Other moldy foods such as bread, cheeses, or even foods found in composts can be contaminated by fungi that release tremorgenic mycotoxins. 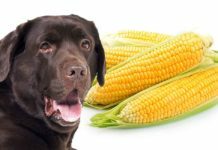 Tremorgenic mycotoxins are a type of mycotoxin that causes tremors and other neurological symptoms in dogs and other animals. So ingesting moldy walnuts can be really harmful to our dogs. The size of walnuts can also cause problems if ingested by your dog. Their size can present a choking hazard, especially for smaller dogs. So if you’re wondering are walnuts safe for dogs, the answer, generally, is not really. 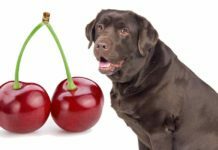 Are Walnuts Poisonous to Dogs? Some articles online suggest that fresh walnuts are safe for our dogs to eat. However, moldy walnuts can be really harmful to them. The tremorgenic mycotoxins that are found in moldy walnuts can cause severe symptoms in dogs, such as vomiting and seizures. Many studies that have examined the effects of moldy walnuts on dogs have seen that they made a full recovery. However, this can depend on the amount ingested by the dog and how quickly it is realized so something can be done to help your pet. If your dog eats a moldy walnut, there are several symptoms you might start to see. Ingesting tremorgenic mycotoxins can cause muscle tremors, seizures, panting, vomiting, weakness, increased heart rates and body temperatures, dehydration, and lack of appetite, amongst other symptoms. Studies of dogs with these symptoms have determined walnuts were the cause when their shells or remnants were found in the dog’s vomit. A lot of people whose dogs ate moldy walnuts did not realize their dogs had consumed them until the symptoms were visible. So what should you do if you notice these symptoms, or you know that your dog has eaten moldy walnuts? What Should I Do If My Dog Ate a Walnut? If you’ve seen your dog eat fresh walnuts, or suspect they have, you should call your vet. Because fresh walnuts shouldn’t contain tremorgenic mycotoxins, which are the bit that’s so harmful in moldy walnuts, consuming a small amount of fresh walnuts shouldn’t cause the symptoms listed above. However, even if your dog gorges on fresh walnuts, the high fat level can cause vomiting, so you should call your vet for advice on how to proceed. 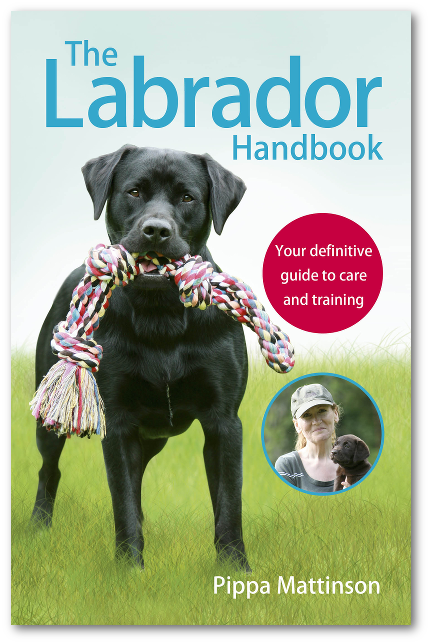 Your vet will know the best way to help, depending on how much your dog has ingested. But, if your dog has eaten moldy walnuts and is experiencing the symptoms listed above, the situation is more serious. If your dog has mycotoxin poisoning, it will need to be hospitalized and treated as soon as possible. Your dog will most likely have its stomach pumped and given activated charcoal to absorb the toxins in your pup’s digestive system. If your dog is experiencing seizures, the treatment may be slightly different and could take slightly longer. It usually takes between one to two days for dogs to recover after treatment, but you should always watch out for any returning symptoms. If any symptoms return, make sure to inform your vet straight away. Some dogs can take longer to heal than others, even up to a week, so make sure to be on the lookout for any irregularities in your dog’s health. Should I Give My Dog Walnuts? If you’re still wondering can dogs eat walnuts, there’s a few things to consider. Fresh walnuts are OK for dogs in small quantities. That may make you think it’s OK to give them to your dog. However, it may not be worth the risk. If you’re looking to introduce new fats into your dog’s diet, there are so many different, safer options you can choose from. Risking mycotoxin poisoning isn’t worth it for the benefits of the fats provided by walnuts. 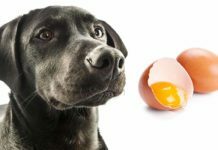 After all, your pet’s health should always be the first consideration when looking to introduce new foods. You should also make sure your dog never eats moldy walnuts because your pet can become really sick and can require emergency treatment. 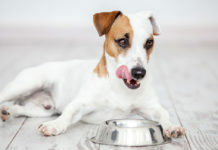 There are tons of other foods your dog can eat to get healthy fats or if you’re looking for something you can share with your dog as a snack. Has your dog ever eaten walnuts? Let us know your experiences in the comments. If you know any good alternatives to walnuts for healthy fats, be sure to let us know those in the comments too. Fresh walnuts can provide dogs with lots of fats, which have been discovered to make up about 50 percent of a dog’s natural diet. However, gorging on walnuts can cause sickness or stomachaches for many dogs. Moldy walnuts can cause much more serious issues, such as seizures. If you think your dog has eaten moldy walnuts, you should seek immediate help and medical attention from your vet to ensure your pup makes a speedy, thorough recovery. If you’re looking for foods that can increase the fat content in your dog’s diet, there are plenty of options you can choose from. Walnuts aren’t worth the risk they pose to our pups. 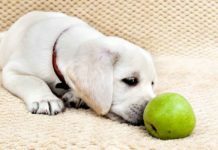 Can Dogs Eat Apples And Other Fruit – Which Treats Are Safe For Dogs? My dog loves walnuts. I would never feed him a moldy Walnut, that seems rather obvious. If I wouldn’t eat it, I wouldn’t give it to him. I certainly don’t feel his bowl with them, but they are a little treat that he loves to share with me. If I have a handful he might get one or two. I don’t think that’s harmful at all. We have a 60 year old walnut tree in our backyard. Our previous lab used to love walnuts, but we could always tell which ones were the mouldy ones because they were the only ones he left on the ground. He never had any health issues eating walnuts, but always had a lovely coat.